Bridal, suit or everyday, take your pick. 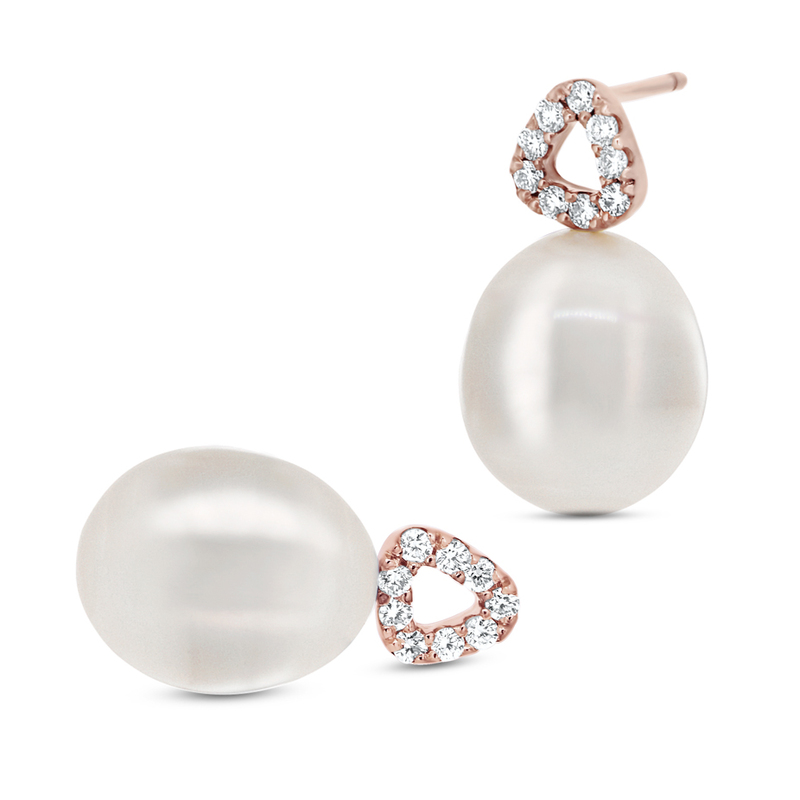 Reminiscent of a river stone this smooth triangular shape sits flat against the lobe with a large white drop pearl resting just under. These diamond and pearl earrings are handmade with Brilliant round white diamonds scallop set in 18ct rose gold.